Last weekend, prior to WWDC, I posted a wishlist of features and improvements that I hoped we might see Apple add to iOS 6 and iCloud. With a week of time to ponder and look over the beta a bit, here is a brief guide to how my hopes, dreams, and picks were either fulfilled, crushed, or delayed by Apple in Monday’s keynote, along with a few other notable odds and ends. Well, Apple didn’t release an API for third-party developers, but they did broaden Siri’s scope in iOS 6. Users now have the ability to open apps, send Twitter and Facebook status updates and get sports scores, standings, and even detailed statistics. Apple also added Movie and Restaurant information, which was available in the original Siri app in the App Store, back to the service. Very nice. Apple also announced their new Eyes Free functionality, which aims to seamlessly integrate Siri directly into your vehicle’s systems. Bluetooth integrated hands free systems for in-car use have been available for a while now, but auto makers have been making great strides in recent years in providing a richer, more integrated, built-in experience. Ford’s Microsoft-powered Sync service, in-particular, has become an increasingly recognizable name in this space thanks to its broad and powerful feature set. These features even include iOS support, as most other car makers’ factory systems also do, in some form or fashion. With the car landscape moving ahead fast, and with Google making moves with Android in GM cars over the last year or so, it was wise for Apple to go ahead and get in the game. They haven’t gone all-in yet, however. Rather than trying to control the experience, they have simply partnered with automobile vendors to get iOS’s Siri functionality tied to the hands-free button you see on most vehicle steering wheels today. From what I gather, most cars that will pair with the iPhone via Bluetooth will already launch Siri with this button. So, it is still a little unclear what Apple has in mind, here. What ever Apple is doing, from some kind of special integration, to a simple Siri logo on the button, it is a good move on their part to get involved. Encouraging the use of Siri in the car will help keep a drivers eyes on the road during basic tasks, such as firing off a quick text, email, or phone call. It will also help to keep the use iOS devices “street legal,” as more and more state and local governments crack down on cell phone usage in cars. Apple is partnering with nine automotive manufacturers: BMW, GM, Mercedes-Benz, Land Rover, Jaguar, Audi, Toyota, Chrystler, and Honda. In other words, pretty much everyone in the game except Ford. Another enhanced feature announced for Siri that ties right into in-car use is directions. Siri already had the ability to look up locations in maps, but now she can also find us directions using Apple’s new and very much improved mapping interface, complete with traffic, distance, and arrival information narrated by our favorite digital female voice (well, at least here in the US). Siri can also annunciate traffic reports and re-routing requests while you are on-route. More on maps in a moment, but as you can see, Siri definitely has a sizable role in this new app and service. Almost an afterthought in the keynote, but something that many users expected to see with the release of the new iPad earlier this year, is arrival of Siri on the iPad. It’s about time. So, despite the fact that we didn’t get full iOS system integration (ie. “Siri, lower the backlight,” or “Turn on WiFi.”), or 3rd party APIs, Siri was still one of the big stars of the iOS 6 portion of the show. As far as my predictions, I was right in guessing that Siri will still fully reside in the cloud, and that we would get broader integration into iOS (although not as much as I was hoping for). I missed on the 3rd party bit. 2 for 3 wasn’t bad. Swing and a miss. Like an “I feel the breeze from over here” swing and miss. Go big or go home, I say. Despite the fact that an integrated document store was not announced, Apple has expanded its Documents in the Cloud feature of iCloud to include the ability to see and organize what’s there. This is at least a step in the right direction for Apple. Even better, they have given developers an API, so hopefully we will see this feature baked into all of our favorite document and photo apps soon after the release of iOS 6. If Apple allows devs full access and doesn’t sandbox it per app, this could end up being almost as good as a local document store. Well, as long as you have Internet access. Well, I guess I got this one right. We did get some expansion of iCloud’s capabilities. First, there is the expanded Documents in the Cloud that I just mentioned. Then we also got iCloud tabs for Safari, which looks really handy if you have multiple iOS devices, or use Safari on the desktop. We also have Shared Photo Streams, which Apple probably should have included in their initial rollout of iCloud, but definitely better late than never. I found out just how much this was needed after writing my How Do You Set Up iCloud for a Family article last year. For a company that excels at polished, simple solutions, they certainly made setting up iCloud for for more than one user mind numbing. iCloud is also being used as the back-end to synchronize the new OSX Reminders, Messages, and Notes apps, which are identical to their iOS counterparts. Apple tried and miserably failed to get iMessage to sync between the iPhone version, which works great, and iPads, iPods, and Macs because they couldn’t settle on whether to use email addresses, phone numbers, or both, as account identifiers. Now, they are using iCloud to sync the data, as well as associating both accounts together, so that every message goes everywhere. It’s about time. Unfortunately, the WWDC keynote brought absolutely very few mentions of Notification Center enhancements, and absolutely nothing about Springboard. I’m not surprised that the home screen didn’t get an update, but I was really expecting more polish and tweaks available for Notification Center and the Lock Screen. All we got were Tap to Tweet and Tap to Post to Facebook buttons. Big miss there for me. I still hold out hope for some small tweaks to both of these areas with Apple’s Fall hardware announcements. It wouldn’t be massive, sweeping change. Apple would need to give devs time to adjust during the beta if that were the case. However, a homescreen refresh that is tied to the newest hardware as a selling point, with the “old icons” still there for older, lesser powered devices, is a possibility. This, and some Notification Center or widget tweaks are certainly possible if the 4″ iPhone 5 with a 16:9 resolution rumors are true. Apple will have to do something with that extra space. Another miss for me. I thought this was a SURE THING. Man. Still, considering that adding these will only have a major impact on gesture-heavy apps for the iPhone, this could still be coming. I certainly hope so. There was no specific mention of this, but thinking about it, this isn’t necessarily something that Apple would have to shout from the rafters at a keynote. This could come in the form of subtle shifts in App Store policies. However, for the purposes of grading my keynote predictions, even though I had the odds well below 50%, I still mentioned this. Another one goes down swinging. Another year with either Webkit or custom coded editing UI. If this were coming, Apple would have had to mention it and include it in the iOS 6 beta. Nope. Nothing but silence again. Maybe one day Apple will notice that one of the biggest selling accessories for the iPad is Bluetooth Keyboards and Keyboard Cases. Maybe Microsoft’s announcement of the Surface earlier this evening, with it’s multiple keyboard options and more robust experience will move them to action. It looks like the first truly worthy iPad competitor (if Windows 8 is as good as advertised). Apple would be wise not to ignore this threat. Other than some Game Center enhancements and tie in to OSX, and the addition of native AirPlay Mirroring to OSX, we again had nothing substantial here. Of course, the Apple TV, which was the subject of a ton of rumors before the keynote, was conspicuously absent. To me, this seems like intentional silence. I have a feeling that, if Apple does move forward on releasing an HDTV this year, that any gaming features and enhancements would be rolled in with that announcement. Apple takes advantage of ecosystem integration possibilities whenever possible, so they would want to save any big AirPlay Mirroring enhancement announcements for such an event. One new, little talked about feature that has been mentioned since the keynote that may have an impact on iOS gaming is in-app Bluetooth pairing. Not a lot is known about this feature yet, but if it allows developers full access to Bluetooth v4 devices, it might just be what the doctor ordered to make hardware game controllers more user and developer friendly in iOS. This one was so obvious that I won’t brag for being right. Despite my rant on built-in mapping vs 3rd party turn by turn GPS apps in my odds article, I was more impressed with Apple’s announcement than I expected. I knew the 3D view would be amazing, but I didn’t expect too much from the standard map interface and turn by turn. They were much more polished looking than I expected. However, what really has me interested is the combination of full Siri integration, which I can’t get in my 3rd party apps, and the fact that Apple is actually partnering with several outside mapping vendors for their information. They are getting map data from TomTom, OpenStreetMaps, and a host of others, and even better, they are going to let 3rd party apps handle transit routing for them. Is this Apple being, gasp, OPEN? Not really, but this is a bit of a surprise. A good surprise. Maybe they will use this as a trial for allowing users to choose apps to handle certain system processes. Who knows? It’s definitely a new development. Also, Apple is also crowdsourcing their traffic and accident information. Apple, like Google already does, will be able to aggregate data from their Maps users to make assumptions about these situations. However, as I’ve seen with other 3d party apps, it takes time and effort to get this right. Waze, and their dramatic improvement in being able to analyze what you are doing, and figuring out whether to use your current data in their traffic analysis or not is a perfect example. This is why I was VERY excited to see Waze also listed among the new mapping partners with Apple. I can’t imagine a better one when it comes to crowdsourced mapping, traffic, and accident data. I certainly hope that’s what they are up helping Apple with. If you are taking on one of the premiere mapping companies around, it pays to not go it alone. I expected to see Apple maybe buy up some more mapping companies to help in their mapping efforts, but they went a much different, and I think smarter, direction. They have had no trouble selling the enemy of my enemy is my friend bit to several other mapping vendors. By getting on board early with Apple, they have a MUCH better chance of surviving while the two massive elephants in the room fight it out. And for Apple, it makes a LOT more sense to lean on the expertise of others who have already solved the problems they will encounter, or filled in the gaps that they need filled while they are getting Maps off the ground. Apple always wants to deliver a polished experience, and this gives them a better chance of doing that right out of the gate. If they want to truly go head to head with Google Maps, they will need to. Now that I’ve taken my beating, I have a couple of observations in the aftermath of WWDC. First off, I really do believe that Apple’s silence on the Apple TV and gaming enhancements speak louder than words. These topics have been mentioned prominently in all of the major hardware and software announcements over the past year, indicating that they are a focus and are important to Apple. They can talk about Apple TV being a hobby, but hobbys don’t get two hardware and two major OS refreshes in less than three years. And as for gaming, what is more important to Apple’s App Store than gaming? I see a TV in our future. Also, after piddling around with the iOS 6 beta for a few days, I apprecate the little touches, refinements, and polish that Apple has added, and especially love that Siri, with all of her new enhancements, has finally arrived on my iPad. However, I have to concur with a number of critics who are calling this update more of an iOS 5.5 release. Why, do you ask? Every time I have loaded a new revision of iOS, whether beta or release, I have always had to back up my device, load the update, and then restore all of my data. With iOS 6, I did all of my customary prep work, backing up to both iCloud, and to iTunes on my PC. However, when I loaded this beta and went through the few steps that were there in front of me, I saw my main home screen with my wallpaper, all of my apps, and all of my data still there. I was definitely not expecting that. Also, after using this update for a few days, I can say that it is light years more polished than iOS 5 Beta 1 was. It was so unstable that I had to restore back to iOS 4 and wait for Beta 2. iOS 6 Beta 1 hasn’t crashed once, and I haven’t found any apps that are incompatible. What this tells me is that iOS 6 just isn’t major overhaul that we have seen in the past. Like many have said, it is a .5 update. Despite this, I still haven’t lost all hope that we will see more changes before all is said and done. First off, there is already a rumor floating around that Apple will be breaking Podcasts out of iTunes into a stand-alone app, ala iTunes U. This hasn’t shown up in the iOS 6 beta yet, so hopefully it is an indication that we haven’t see everything Apple has up their sleves yet. 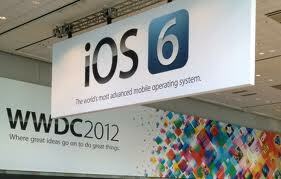 Also, there is, again, the potential for iOS 6 updates that will go along with hardware upgrades in the new iPhone. We have seen a pretty clear pattern at this point. We will get a major hardware refresh of the iPhone every other year, with a spec bump for in-between years like last year’s iPhone 4S. We’ve all see and heard the rumors of new screen sizes, new screen resolutions, and new metal backs. It feels pretty certain that a redesigned iPhone 5 is on the way. This phone could come with any number of hardware enhancements tied to hardware additions such as NFC, an improved camera, or an expanded screen, all of which would require additional apps and settings to fully implement. So, I choose to remain optimistic. I am hoping that the extreme amount of polish in the current beta points to more things to come that Apple has chosen to hide until later. iOS has never looked this good, this early on, and neatness of this sort is always the result of planning. There is a reason that iOS 6 is really solid right now. We just don’t know what it is yet. Hopefully this prediction of more to come is more accurate than the ones I made last week, and we will be very pleased with our belated presents one day this coming Fall. I didn’t mention the direct settings changes because I have pretty much given up on them, at least until we get a Springboard redesign. I was hoping that we would get Siri access to them, and was actually surprised that we didn’t. Being able to turn on Bluetooth and turn the brightness up via voice would seem to pair very well with Apple’s new Eyes Free initiative. As for Street View, you probably won’t be missing that for long. Apple has already allowed Google Earth into the App Store, so a Google Maps app will probably be released not long after iOS 6. I doubt Apple would want the negative publicity that would come with trying to block it. As for iOS 6 compatibility, while I am not a huge fan of their new strategy, I think it is pretty clear. The only devices getting the upgrade are the ones still in active production. While both the OG iPad and the 3rd Gen Touch have the same or better specs than the iPhone 3GS, it is still for sale, and they are not. I wonder if Apple will carry this philosophy forward into future iOS releases? Good article and follow-up, thanks. One quibble on the car makers. It’s not just Ford missing. Also absent are VW, Nissan, Subaru, Mazda, Porsche plus European market players like Peugeot, Renault, and Fiat (assuming no Chrysler tie-in) and growing Asian names like Tata, etc. Still, Apple has an impressive list for the US market, less so worldwide. Point taken on the car manufacturers. I was thinking from an American perspective, there. Being an American company, Apple always starts here in the States. However, it wouldn’t surprise me to see more worldwide manufacturers jump on-board by the Fall launch of the iPhone 5. Apple fails with iMaps. Go to hell, Apple….